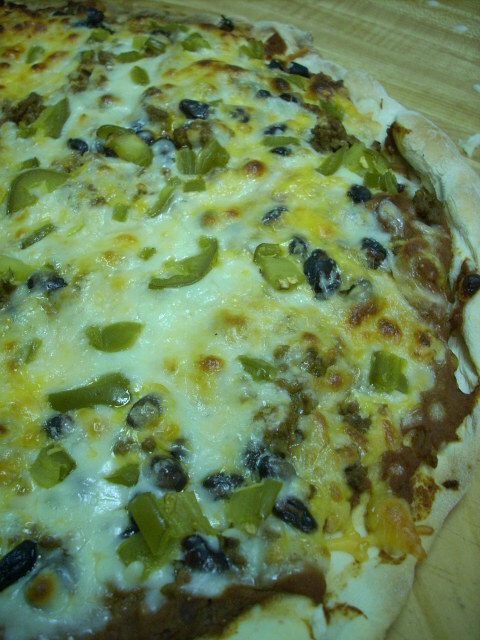 Once again, in an attempt to trick Tony that tonight is not again Pizza Party Friday, I decided to make Mexican Pizza! 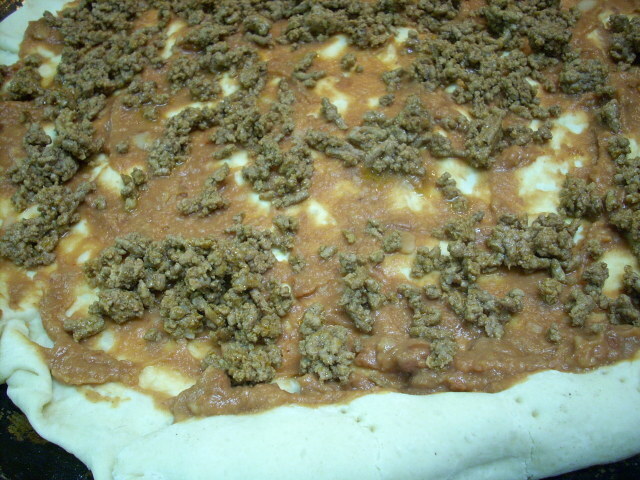 With the leftovers from the refried beans and taco meat, a delicious pizza was born! 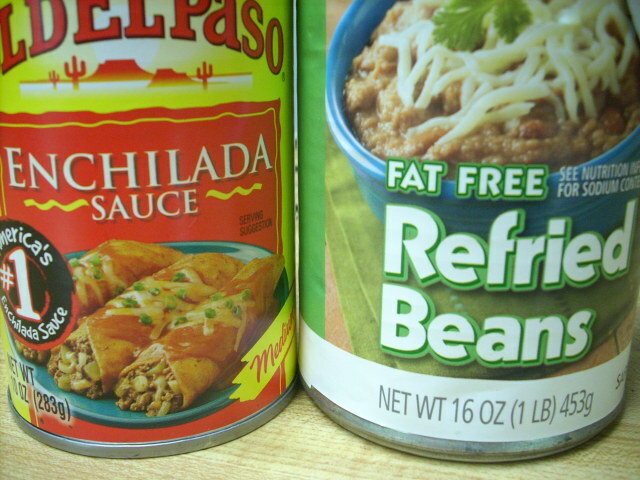 The rest of the ingredients – except no jalapenos for Tony! Although, as careful as I was, he got 1/2 of one slice on his side! 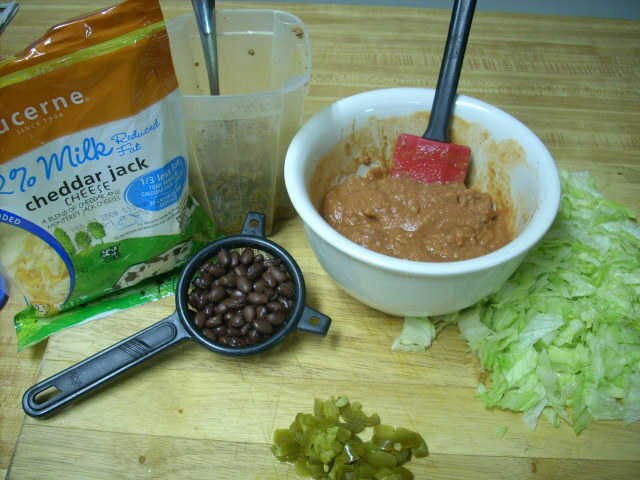 enchilada/refried bean mix, black beans, taco meat, mexican cheese, jalapenos for me and shredded lettuce! Here’s my side – I put the peppers on top so as Tony wouldn’t get any on his side – one may have jumped over though! Now after you take it out of the oven, let it cool about 5 minutes. 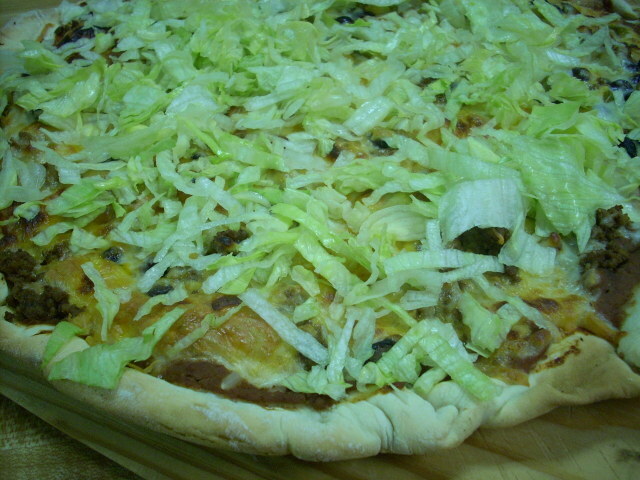 Then sprinkle with cold shredded lettuce – don’t dismiss this last step – IT MAKES THIS PIZZA! Hope everyone had a great Friday – I am off to beat Tony’s a$$ in Monopoly, turns out he won’t play Scrabble with me anymore and he always wins Monopoly! (Yes, I am that good. Any takers?!) See you at breakfast!